Lock in a great price for Asahi Guest House – rated 8.4 by recent guests! Staff very nice. You can feel real japanese style. I love the decoration. They have laundry machine . Blanket so comfy. I will comeback here again for sure!! The house is a beautiful traditional home, with a wonderful ground floor and two bedrooms on the upper floor. The host was really nice, and super helpful with my heavy bags! My bed was very comfy and soft! Nice guest house very close to shopping district and boutique eateries/ specialty shops. Comfortable beds and very clean, with very helpful hosts. Full kitchen and common area, with baggage storage and extra toilets. Cheap washing machine as well, with area for drying clothes. 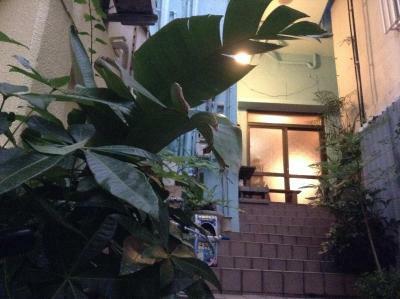 Very convenient location (close to shopping street/restaurants). A paid parking lot (700Yen/12 hours) was nearby. The personal was nice, but didn't speak English very much. We paid with cash (cards not accepted). There was no water tank, only tap water. The place was clean but a bit old. For one night for this money, it was ok. Free wifi provided. Good Location, Nice staff And so nice price. If you find some cheap and quiet place, It'll be good choice to you. And the living room is quite lovely. The kitchen is really well equiped, so the room. The woman's dorm room has a lot of space to move around and also store belongings, a lot of options to hang cloth. The bed linen is very comfi as well! The living room downstairs is really big and nice to hang out. The location is good, near to a great local market, independant cinema and lots of organic cafes and restaurants. All these elements make it easy and comfi to stay in the hostel for really long time. 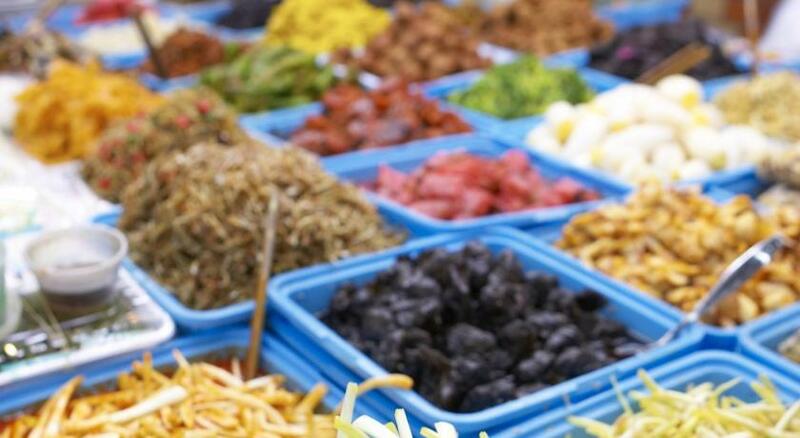 The staff speaks basic English and can give some advice for eating out. Asahi Guest House This rating is a reflection of how the property compares to the industry standard when it comes to price, facilities and services available. It's based on a self-evaluation by the property. Use this rating to help choose your stay! Just a 3-minute walk from Kokusai Street, Asahi Guest House offers simple Japanese-style accommodations with futon beds. A shared kitchen, lounge area and free-use internet terminal are featured. 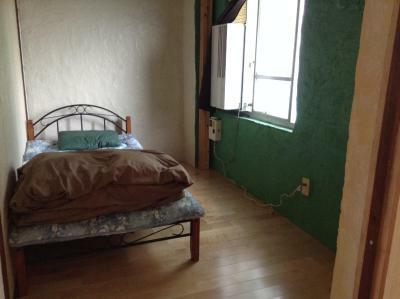 The rooms at Guest House Asahi have shared bathrooms, and a hairdryer is available. A 10-minute walk from Miebashi Monorail Station, the hostel is a 20-minute drive from Shuri Castle and Naha International Airport. Bicycle rental offers a fun and easy way to explore Naha. Coin-operated laundry machines are provided. The free-use kitchen includes a fridge, microwave and electric kettle. Free broadband internet access is available. 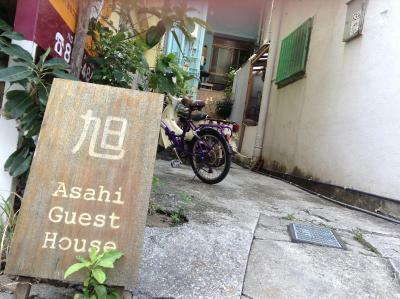 When would you like to stay at Asahi Guest House? 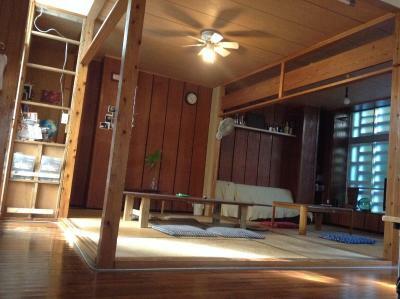 Features tatami (woven-straw) flooring and Japanese futon bedding. Fan is provided. Bathrooms are shared. Please note that there is no air conditioning available in this room. 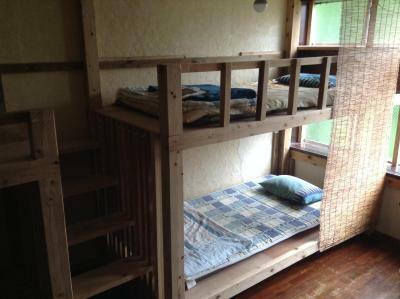 Price includes a single bunk in a room with multiple bunk beds. Bathrooms are shared. Please note that air conditioning is available only at night. House Rules Asahi Guest House takes special requests – add in the next step! Bit hard to find, look for an A frame sign at knee height on roadway, front door is up stairs. Little difficult to find initially. look for the A frame sign in black and white down at knee height, front door is located up a set of stairs in a little alley. Could use a sign at eye height if possible. The personal didn't speak English very well. The place was a bit old (the bathroom..., but it was fully functional and clean). You can pay only with cash at the place. There was no locker. Wood floor and bed made some noise. But that was not big issue to me. The room was quite hot at night but it was a hot day! Comfy bed and nice shared living space! I wish the staff could speak better English. There is only one bathroom with one toilet for women. The wifi doesn't work everywhere. The staff was very friendly and the owner has a lovely daughter. There is a kitchen and a very nice common area with a lot of space. The bedrooms are nice and have quite a lot of space too. The location is very convenient, super near the main street. This is a very family-like guest-house, feels really traditionnal and it's super nice to meet the few people who are staying there.